A baby's skin is delicate and sensitive. Keeping that in mind, Mee Mee's Mild Baby Liquid Laundry Detergent, is carefully made to the highest safety standards. It is a gentle and hygienic detergent specially formulated to take care of your baby's clothing. 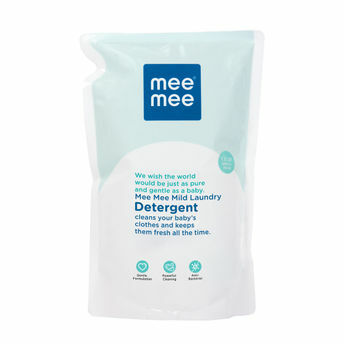 Alternatively, you can also find many more products from the Mee Mee Mild Baby Liquid Laundry Detergent Refill Pack range.